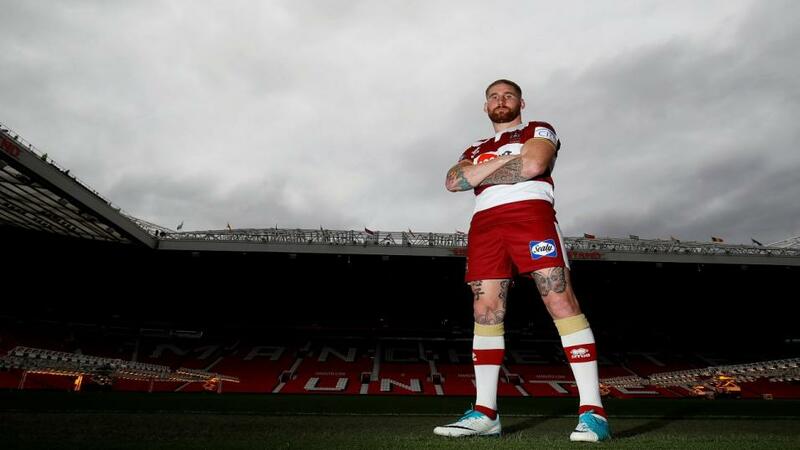 "Wigan, who are one of the best under the big-game lights, must be backed to cover what looks a generous handicap"
The Super League season reaches its climax on Saturday and Wigan Warriors can lift the trophy for a fifth time. The Cherry and Whites are back at Old Trafford for the sixth time since 2010 and arrive in tremendous form, last week's 14-0 win over Castleford Tigers their ninth in a row. They finished nine points and two places ahead of Warrington in the final league table, and but for a mid-season slump may have pushed Shield-winners St Helens very close. The match has extra significance for Wigan in that it will be Coach Shaun Wane's final game after thirty years at the club. The former prop forward is taking up a role with Scotland RU and leaves behind the strongest defence in Super League, his side having conceded just nine tries in their last seven matches. They'll be very hard for Warrington to break down. As Matthew Crist said in his preview earlier in the week, Warrington have certainly flown under the radar in reaching their fourth Grand Final in seven years. They have been beaten every time, though, including twice against Wigan in 2013 and 2016, and it is the one trophy that continues to elude them in the modern-era, their last league-title having come in 1955. They are very much the underdogs on Saturday, just as they were when shocking St Helens 18-13 in the semi-final, but their record at Old Trafford, combined with their poor display in the Challenge Cup Final in August, must be big warnings for backers hoping for another upset in this game (the last seven favourites have lost). Both squads are unchanged from last week and it will take a monumental effort from Steve Price and Warrington if they are to come out on top. Betting and fairy-tale endings rarely go together, but this can be a happy one for Wane, Tomkins and co. There is a lot more between the two sides on their day than four points, and Wigan, who are one of the best under the big-game lights, must be backed to cover what looks a generous handicap. Wigan are saying goodbye to a number of players on the field also, including, for a second time, full-back Sam Tomkins. Tomkins was part of the side that beat the Wolves 30-16 in 2013 before he departed for the NRL. This time around he leaves to join the Challenge Cup-winners Catalans and he's going out at the top of his game having notched ten of the fourteen points in the Castleford win. He looks sure to turn it on once again on the grandest stage of all and is a worthy favourite to take the man of the match honours. Those wanting a saver must back Thomas Leuluai, the player who scored the other four points against Castleford. The New Zealand international put in a fantastic display on his return from injury last week and is far too big at 18/1 to become only the second player to take this prize at Old Trafford having won it in 2010 as the Warriors beat St Helens. Super League Grand Final: Can Warrington End 63 Years of Hurt against Wigan?